Newcastle United youngster Sean Longstaff has been hogging the limelight with his brilliant displays and a number of clubs are chasing now scouting for him. According to reports, Bournemouth are also considering bringing the player to the Vitality Stadium. Eddie Howe’s side is currently struggling to survive in the Premier League following the worst possible start to this season. The Cherries started the season with a win over West Bromwich Albion but went on to have a very bumpy ride as they registered only two wins so far in the English top tier. Longstaff is currently at Blackpool on a loan deal which will expire on January but the club hierarchy is pretty impressed with his showings and is planning to get him a much-extended stay. He only signed a new contract in the summer as the Magpies don’t have any plan to let him go so easily. The midfielder has impressed for Blackpool as he already has racked up four goals and three assists for them. Standing at 6’2″, he is already making rounds and is expected to be called up by the Toon when his loan stint ends. At this tender age, he has won the plaudits for his excellent vision and understanding of the game and his passing range. He also can withstand the physicality of the game and these aspects have made him a completely different player. Newcastle would like to keep him for a prolonged period as they have plans to introduce him to first team football but a host of clubs including some in the Championship are ready to open the window of opportunity for him. 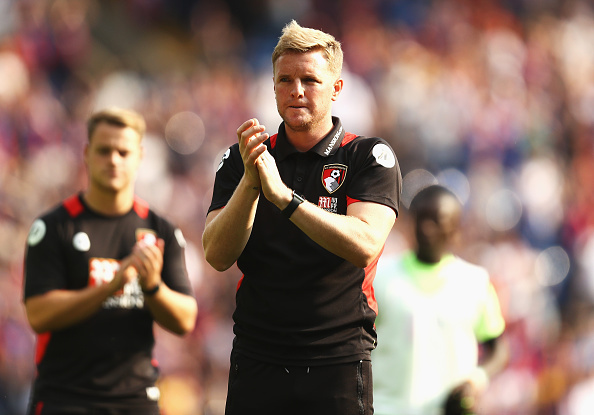 Eddie Howe has always been an admirer of young talents as we have seen a number of youngsters have been given the opportunity to shine at the Vitality Stadium. He is ready to unleash the player straight to the first team but he needs a bit more polishing and nurturing before going into the big league. Maintaining a constant level in the English top tier is very difficult and we have seen only a handful of players like Marcus Rashford do it consistently at the highest level. A short-term loan deal would be viable for the both parties as the Magpies won’t let him leave on a permanent deal. It’s going to be a very difficult for the Cherries if they really want to bring the player on permanently. But can he make the squad stronger? Chelsea One Of Many Interested In 16-Year Old La Liga Sensation: A Star For The Future? Huddersfield Town Eye Out Of Favor Everton Starlet: The Right Move For The Player?